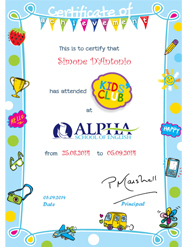 With a minimum of 90% attendance on any of our courses you will receive a certificate from Alpha School of English to show that you have studied with us. 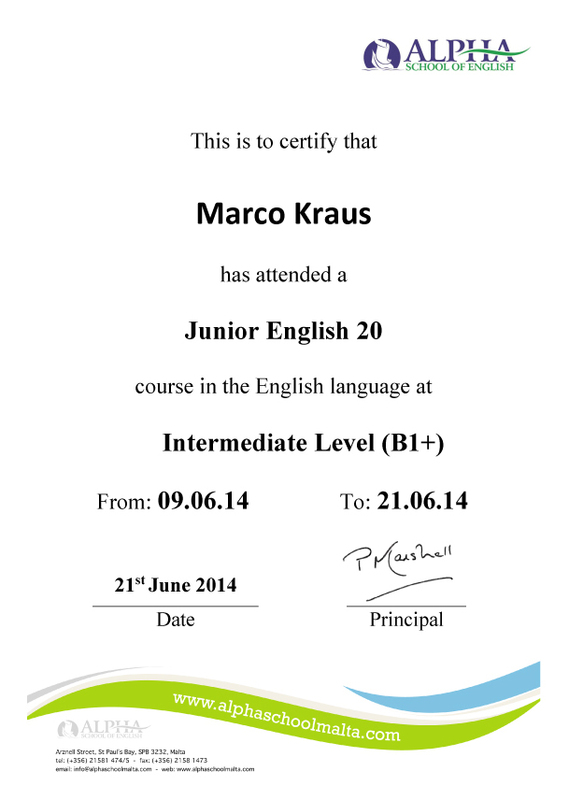 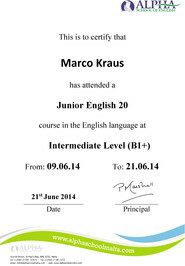 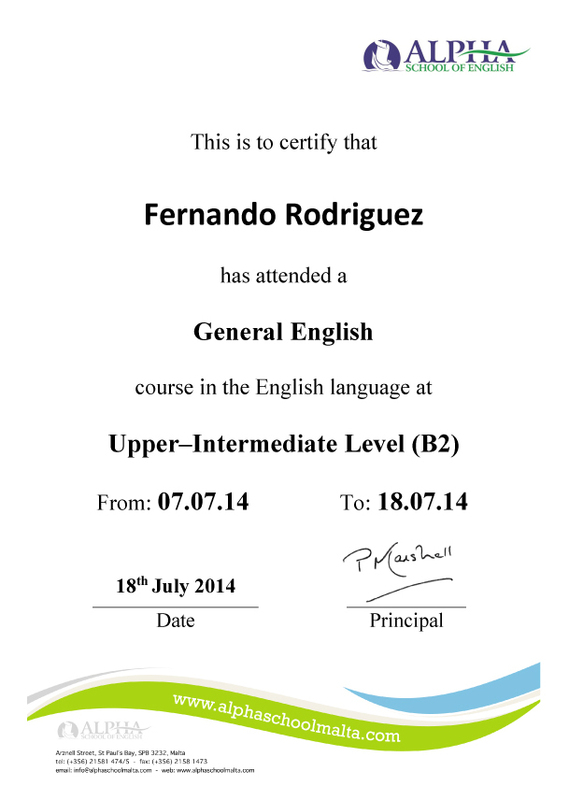 The certificate will show a level corresponding to the Common European Framework of Reference (CEFR). 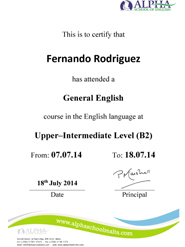 The CEFR has been developed through scientific research as well as a consultation process with linguists across Europe to provide language learners with a successive set of clear standards to show current ability and to highlight future progress within their chosen foreign language. 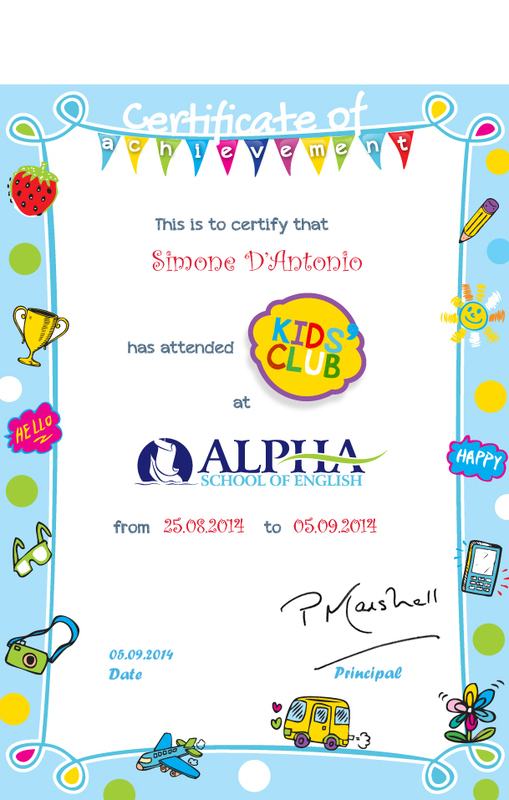 You will find three sample documents here (click to enlarge) to show you the kind of certificate you’ll receive at the end of your course at Alpha School of English.